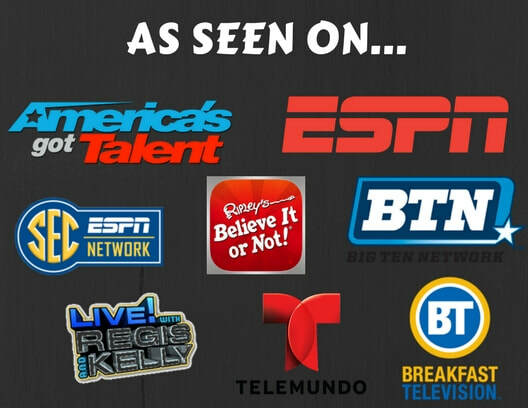 As seen on America's Got Talent, Ripley's Believe it or Not, Regis and Kelly, ESPN and Halftime Shows across​ the country! WATCH MY brand new Promo video HERE! My name is Tyler Scheuer and my unique, high-energy performance has been wowing crowds for the past eight years! My performance is geared toward ALL sports and consists of me balancing wheelbarrows, bikes, Werner ladders, and much more on my face while at the same time dancing to music and engaging the crowd! Watch My full performance Here! CLick to watch Tyler's amazing Balancing act videos!